Threshold diagrams of erosion and spall fracture are constructed based on the concept of incubation time of the fracture. It is shown that in the case of a defectless material, the incubation time can be estimated from the spallation or erosion experimental data. 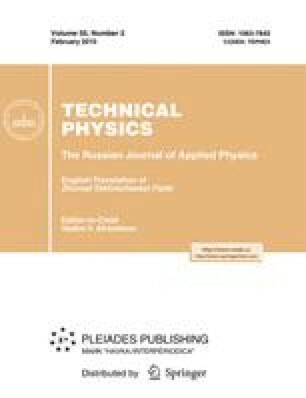 The temperature dependence of the threshold velocities of microparticle impact is considered. The effect of increasing the dynamic yield stress upon an increase in the surface temperature of the target material is obtained for small-size microparticles. The relationship with an analogous effect in the spallation experiments is discussed. Original Russian Text © Yu.V. Petrov, V.I. Smirnov, 2010, published in Zhurnal Tekhnicheskoǐ Fiziki, 2010, Vol. 80, No. 2, pp. 71–76.